Are you looking for Manual Testing Jobs in Mumbai, Hyderabad, Bangalore, and Chennai?? Candidate should be flexible to travel any location of Mumbai. 2017 Passing year & 2018(appeared) Passing Year. 60% throughout the Academic / 55- 60% in any 1 academic. Should be willing to work in Manual Testing. Should have completed the course in Manual Testing. Open to travel anywhere in Mumbai (Western or Central or Navi Mumbai). Education gap not more than 1 year. Candidates are requested to be prepared on manual testing before coming for the interview. Assessing new products to ensure they are suitable for formal testing. Performing unstructured testing to imitate user-like behavior and maximize the chance of finding severe issues. Performing structured testing in accordance with pre-defined test scripts. Completing test scripts and analyzing the number of test cases passed and failed. Reporting and managing issues in JIRA. Performing regression testing on software builds to ensure previous functionality and content has not been compromised by further development. We are currently hiring QA’s @ Bangalore. Must have knowledge of manual test strategies and Automation Frameworks. Experience in Selenium, able to set up and run execution. Develop tests according to specifications, write test strategy and software documentation. The candidate will be involved in manual & automation testing of OIT and its components on supported platforms viz Linux/Unix and Windows etc. Provide expertise in the planning, constructing and execution of test scripts. Apply business and functional knowledge including testing standards, guidelines, and testing methodology to meet the team’s overall test objectives. Ensure all testing results are easily accessible and understandable. Track defects to closure and keeps defect repository up-to-date. Functional Test Planning, Informatica ILM TDM, and TDG Testing for Agile. Creates and executes manual test scripts, Onshore, and Offshore coordination. Will be working on test metrics. Will be responsible for all activities related to testing from creating test data till sign off. Hands on Experience in Informatica ILM TDM TDG Database Testing. Should have worked in Agile projects. Should have DB knowledge Oracle SQL Database. Provide expertise in the planning, constructing and execution of test scripts. Apply business and functional knowledge including testing standards, guidelines, and testing methodology to meet the teams overall test objectives. Ensure all testing results are easily accessible and understandable. Track defects to closure and keep defect repository up-to-date. Creates and executes manual test scripts. Onshore and Offshore coordination c: Will be working on test metrics. Should have worked in Functional Test. Knowledge of Master Data Governance(MDG) is mandatory. 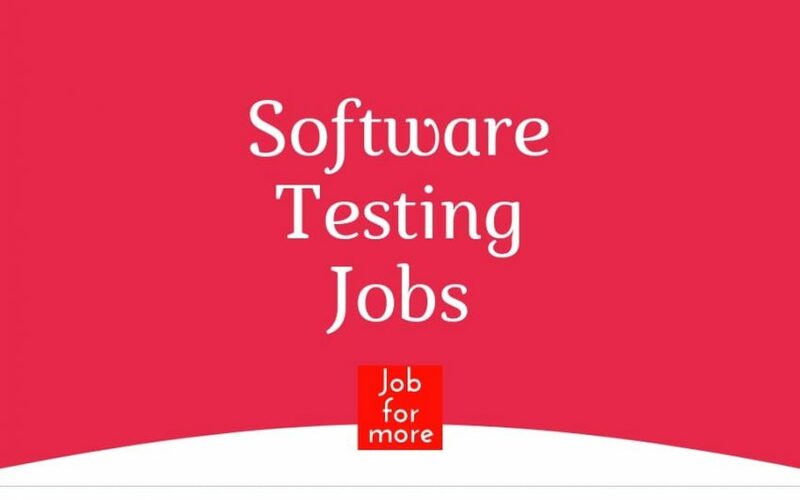 The Salesforce CRM Tester (testing / QA is an opening in Hyderabad (India) for freshers / Entry level candidates who are interested in starting the career in salesforce.com or Other CRM as a testing professional. Lead the transformation of testing into a continuous and efficient end-to-end quality engineering function through the use of quality processes, tools, and methodologies significantly improving control, accuracy and integrity. Evolve more predictive and intelligent testing approaches based on automation and innovative testing products and solutions. No Technology Specialty Job Requirements: M_Proficient in one domain OR one package proficient in test automation Ability to conduct the assessment, diagnose issues, provide improvement recommendation and road map Proficiency in writing technical and commercial sections of testing proposals Ability to make client presentations and hold technical and commercial discussions.